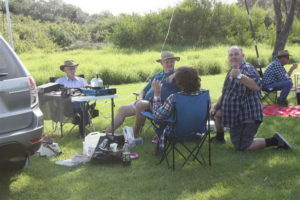 May 2016 – Mid South Coast Amateur Radio Club Inc.
Margaret and I enjoyed a very pleasant afternoon at the Killalea State Park on the 21st of May. 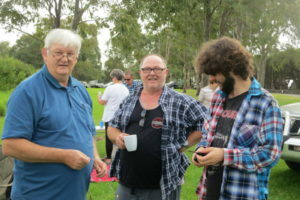 This was a MSCARC event and we were joined by members of the Illawarra Radio Club. The weather was fine but cloudy and not too hot. The location is fantastic and we should visit there again. There were lots of other activities taking place, mainly with the Scouts. We got in early, otherwise parking may have been a problem. 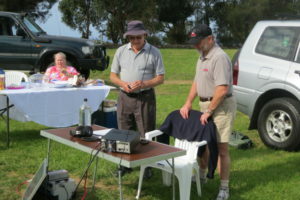 Gerald VK2HBG and David VK2FLDW set up tables with radio equipment on them. Gerald using HF and David monitoring VHF. 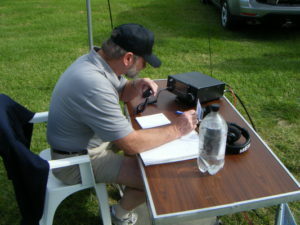 Gerald was using his new Software Defined Radio the Icom IC-7300. A very impressive piece of radio equipment. 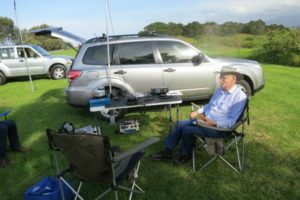 David was using his Yaesu FT 991 also the latest generation radio. 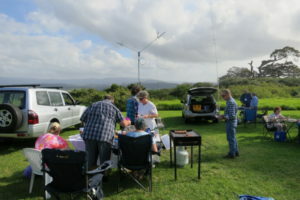 They were later joined by Rob VK2XIC who showed what could be worked from a Yaesu FT817 using 5 watt and a quickly erected G5RV. Gerald provided the BBQ and there were sausages and steaks for lunch plus salad and desserts. David brought along a portable stove for brewing tea but forgot the tea bags. There is a cafe on the site so thirsts could be quenched anyway. Comments on the day were all favourable and it was agreed that we should repeat it some day.